Plastic headbands Australia wholesale prices. 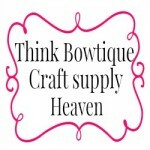 Wholesale plastic headbands online in 10mm, 15mm, 20mm and 25mm for your headband making supplies. Buying 1 or 100 we can help. Our self cover plastic headbands are perfect for covering with ribbon or fabric.